Headquartered in Plymouth, Minnesota, Primera Technology, Inc. is a developer and manufacturer of specialty printing equipment including the LX-Series Color Label Printers, AP-Series Label Applicators, LP130 Laser Marking System, the CX1200 Color Label Press and the FX1200 Digital Finishing System. Primera distributes its products in more than 222 countries with service and support for North America, Latin America and South America from Plymouth, Minnesota. EMEA customers are serviced and supported from Wiesbaden, Germany through Primera Europe. Primera Asia Pacific, located in Hong Kong, serves customers in Asia Pacific. “In addition, you need to set the thumbscrews/guides to set the location of the label on the bottle” says Katherine. With the mode function, you can set the applicator to apply 1 or 2 labels, even setting the distance between labels. 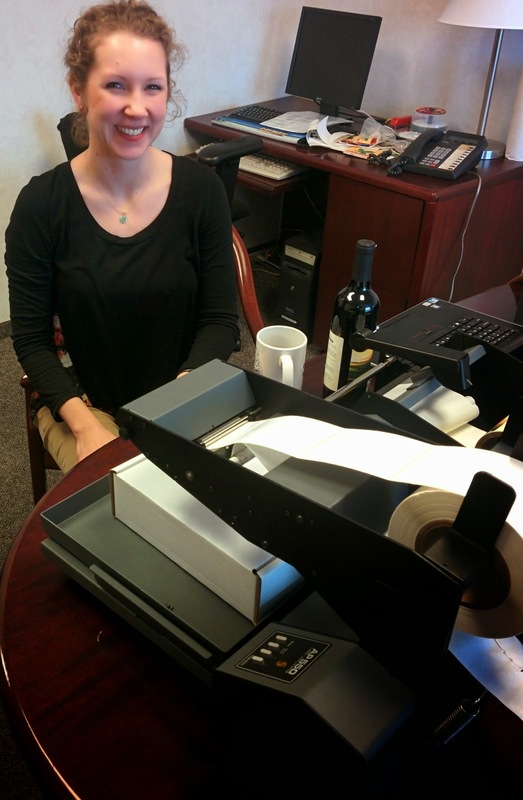 To see Katherine apply a label to a wine bottle, watch this video. One of the questions I get frequently is applying labels to small bottles; especially given the increase in the e-cigarette market. When applying labels to smaller bottles, Katherine says, “you need to keep the arm pushed down; forcing you to almost insert the bottle between the arm and the rollers. As small bottles are light in weight, the arm holds them in place to insure the labels are applied correctly. “Again, you can use the AP360/AP362 applicators on any container you can roll. If the container rolls crooked, the AP360/AP362 will apply the label incorrectly” says Katherine. From my perspective, consistent label application is the biggest benefit of the flat surface applicator. 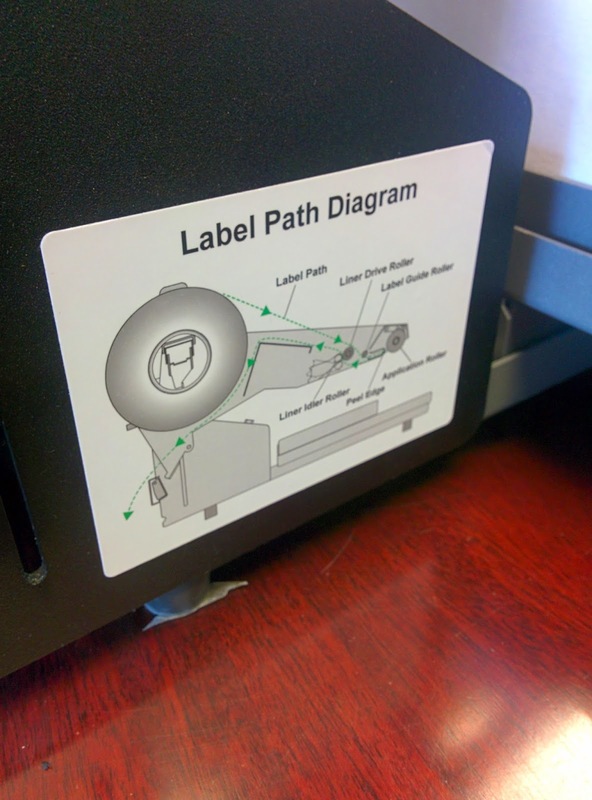 No way can you apply a label in the same position every time manually. 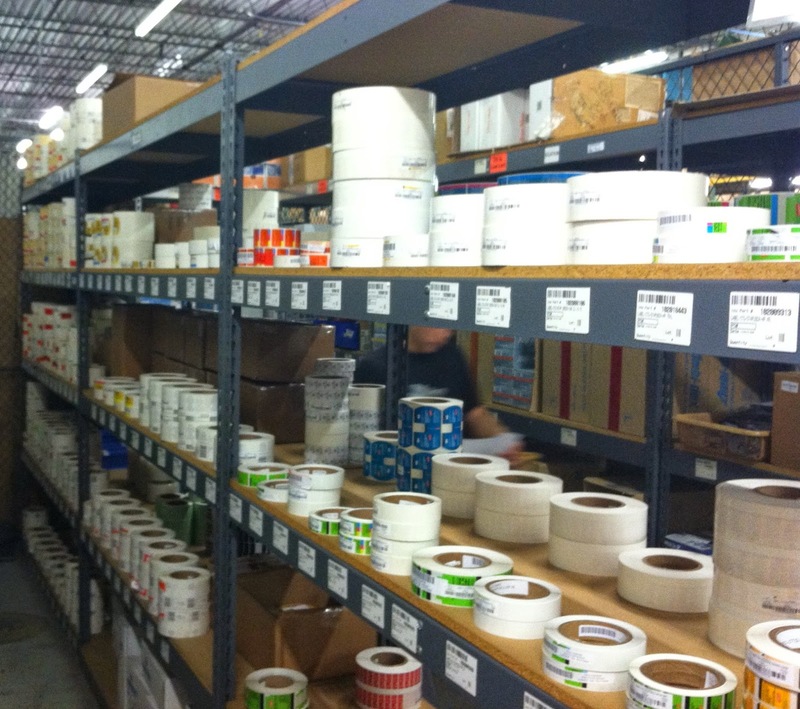 If you need to increase your productivity on printing and APPLYING color labels on-demand, we can help. Contact us to learn more about these semi-automatic label applicators. Since 1967, Engineered Lubricants has been an independent manufacturer of lubricants, metalworking fluids, rust preventatives and cleaners. Providing products and services across the globe, EL formulates products specific to its customers’ production requirements. EL has one of the most advanced testing laboratories in the United States, offering its customers extensive physical and analytical testing capabilities. With a foundation built on conservation and savings, EL has been an industry leader in preventative maintenance programs, which are designed to reduce consumption, provide cost savings and help anticipate and eliminate potential problems. Regular lubrication surveys help reduce maintenance costs and ensure proper equipment lubrication. 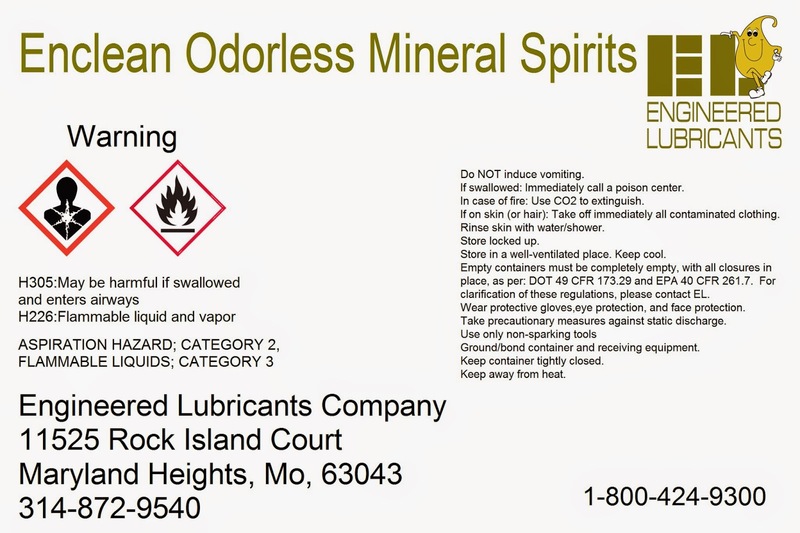 Almost 1.5 years prior to the deployment deadline of June 15, 2015, Erin Weber of Engineered Lubricants found Color Label Solutions, www.colorlabel.solutions and www.ghs.solutions, and contacted us about their requirements to produce GHS labels. 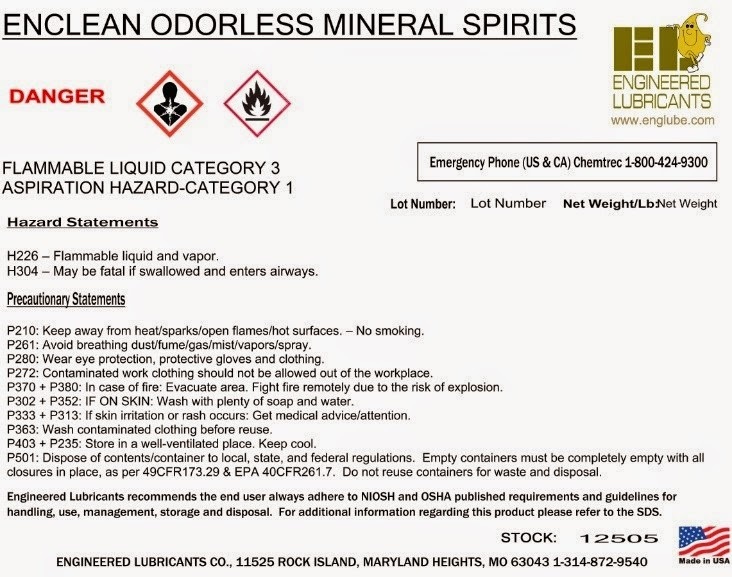 At that time, Erin was “exploring the different options that are available in regards to the new labeling required by GHS. 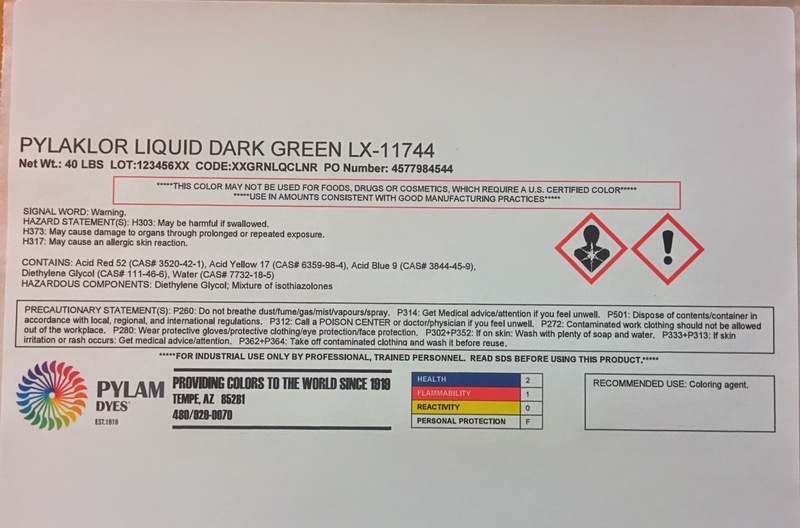 The majority of our shipments are 55 gallon drums and 5 gallon pails.” After discussing the options, I demonstrated a potential printer, producing sample GHS labels, 4” x 6” and 8” x 11”, in color and with pictograms using one their existing products. I produced these samples using BarTender and a simple Excel database. You can learn more from my recent blog post: http://colorlabelsondemand.blogspot.com/2014/09/ghs-drum-label-template-database.html. After seeing the demonstration/labels and testing the labels, Engineered Lubricants purchased TM-C3500 and GP-C831 printers; along with 2.25” continuous labels and 8” x 11” pinfeed labels. With the purchase, I helped Engineered Lubricants get started printing labels quickly and easily using the printers as well as BarTender. 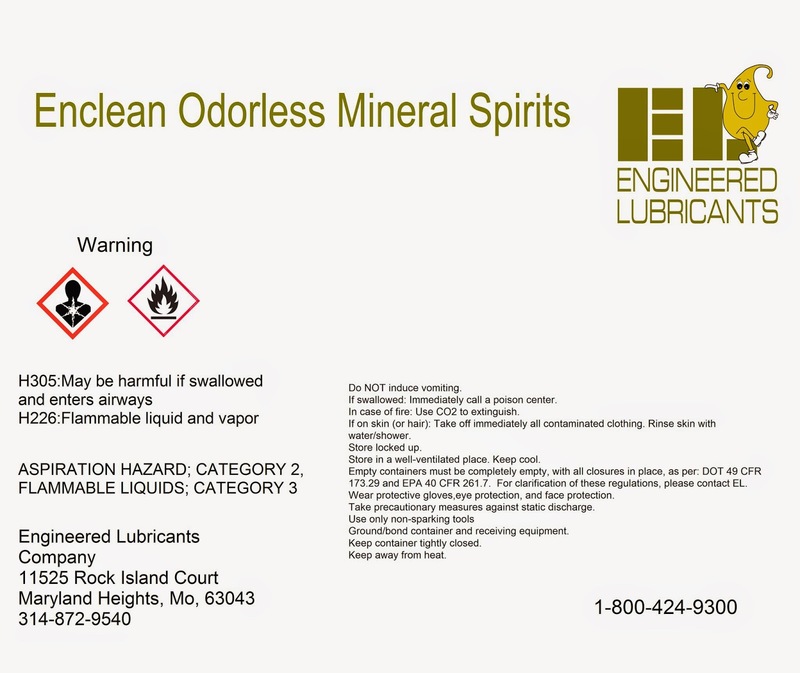 Engineered Lubricants started producing sample bottle labels using continuous labels, but soon had troubles with the cutter in the printer and the continuous labels. As a part of the troubleshooting process, we contacted the Spare-in-the-Air (SITA) warranty program (http://pos.epson.com/pos/PDF/SITA_Collateral.pdf) that Engineered Lubricants purchased along with the printers. Epson replaced the TM-C3500 quickly. After replacing the printer, Engineered Lubricants decided to move to die cut labels; which actually saved them money compared to the continuous. “Make sure you have set the “SHUTTERS” on the inside of the front door to match your paper width; especially for the narrow labels like 2.25”. Look at the decal on top of the TM-C3500. You need to close the outside 3 SHUTTERS on each side of the inside of the front door. By closing the shutters, Erin immediately eliminated the blurry print. Although more work to do, Erin has made great progress on the SDS and GHS Label project prior to the deadline. Every company working on moving to GHS labels needs an “Erin” to insure their new SDS and GHS labels are accurate and completed prior to June 15. If you need assistance on your GHS label project. Contact us and we’ll help you move forward like Engineered Lubricants. My New Printer Is Fast! 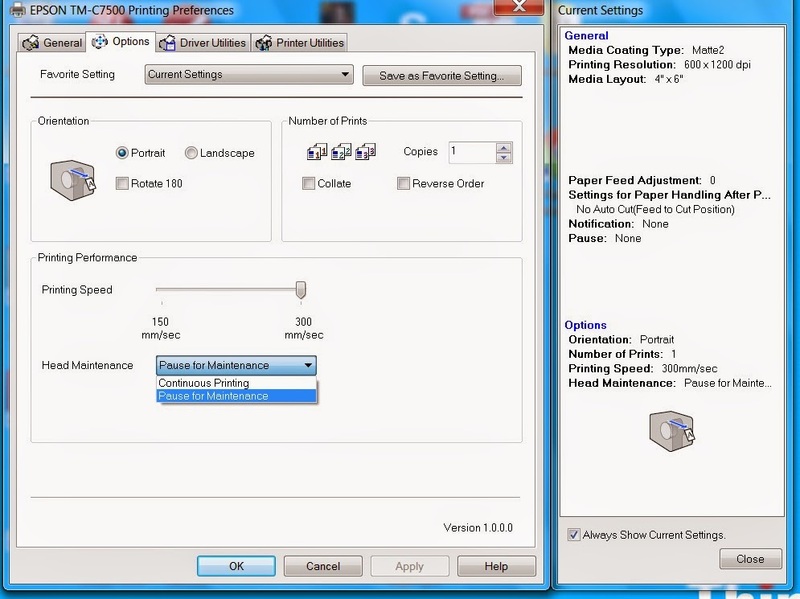 Take a look at my printing and rewinding 100, 4” x 6” labels in one minute. With “Continuous Printing”, the printer does not stop for maintenance; but “spits” tiny droplets of ink occasionally while printing. The droplets can be seen with a magnifying glass; but are barely noticeable otherwise. From my past work, I know the Memjet technology has the same type of maintenance function. With “Pause for Maintenance”, the C7500 stops periodically and checks/cleans the printhead; that’s exactly what you are seeing in the video. With this setting, the C7500 still averages approximately 10” per second. 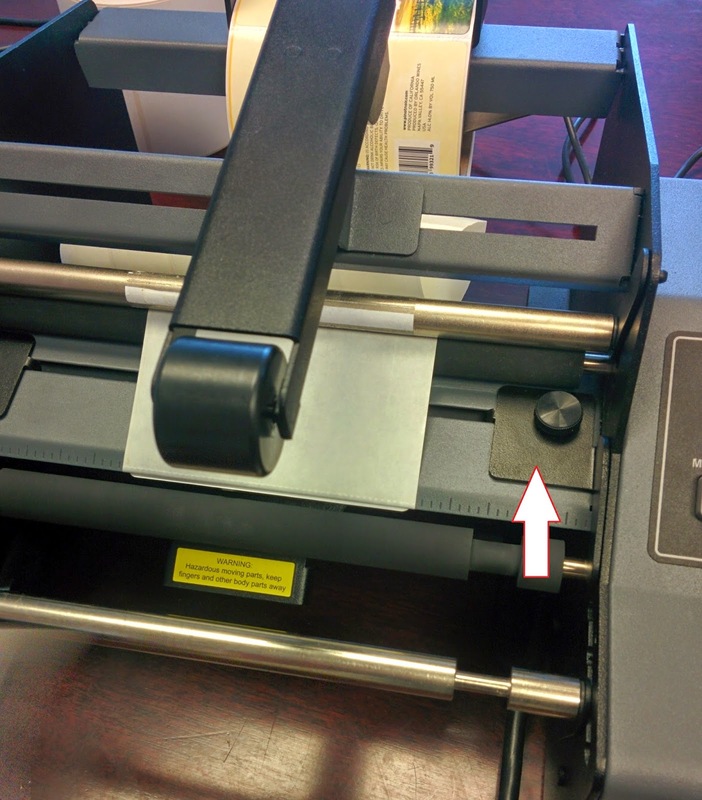 Although the C7500 is a fast color label printer, I don’t believe this feature is most important. In fact, I see three other aspects of the TM-C7500 as more important. At 1,200 by 600 dpi, the C7500 has much higher resolution than then C3500 or the first generation C3400. Low resolution printing, especially for “flood coated” labels is the major objection I’ve faced with these earlier printers. This new printer will provide much higher resolution, offering better looking on-demand color labels; especially for prime labels. Over the years, we’ve worked with printers that require a lot (relatively speaking) of maintenance and consumable items such as printheads, transfer belts, fusers, image drums, and other items. In addition, we’ve elected not to sell color label printers like the Swiftcolor and don’t recommend the Kairo printer from QLS given the requirement to dismantle the printer to change one of four printheads. In production, maintenance requirements are a hassle. And replacing consumable parts gets expensive. 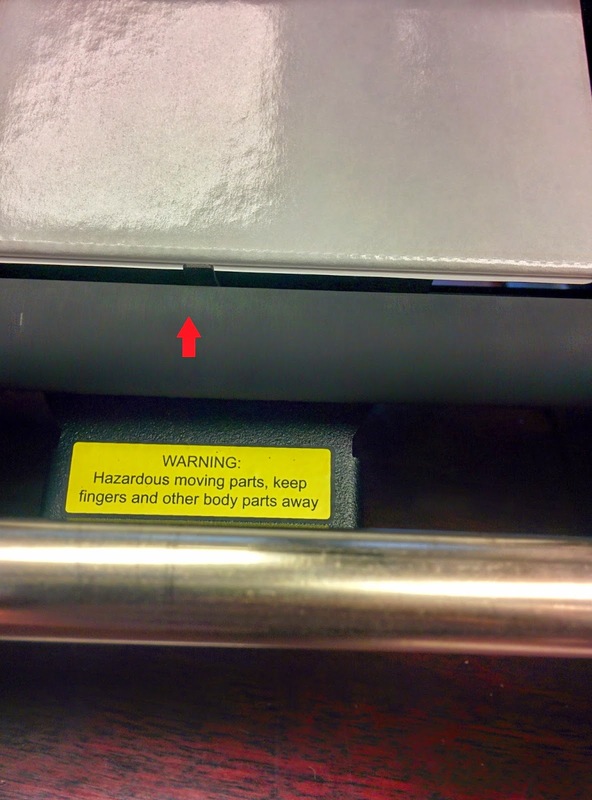 In addition, most these printers require “return to factory” for repairs; therefore requiring a manufacturing operation to purchase a “Hot Swap” printer to use in case the first printer breaks. With the C7500, little to no maintenance is required. For example, the printhead lasts the life of the printer. You do need to replace the “maintenance kit”, but this change takes only a few seconds and occurs only occasionally based on how much you print. As for repair, Epson will have the Spare-in-the-Air warranty program which sends out an overnight a replacement in case a printer requires repair. It’s a great deal. In addition, I understand Epson is developing an on-site offering as well. When placing a printer into production, you must consider service and maintenance; and the C7500 is durable and easy/inexpensive to maintain. Potentially the most interesting feature of the new TM-C7500 is the ZPL emulation. 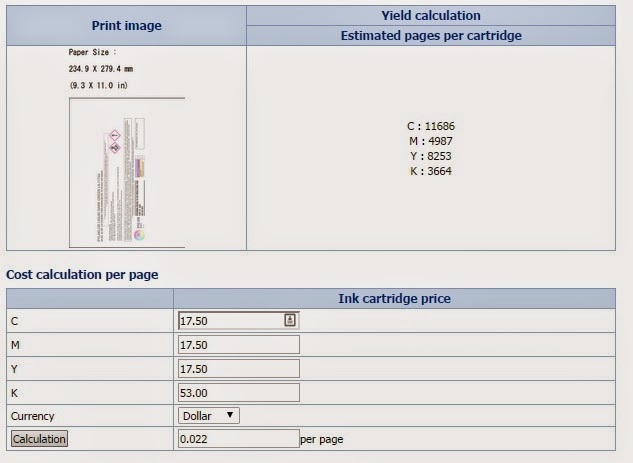 With this feature, you’ll be able to store in the printer the background image of your labels; then send only the variable data to print on each label. Plus, you’ll be able to “colorize” ZPL to add color fonts/text; and add variable color images. This feature means the new C7500 will be plug n play with existing Zebra applications; allowing you to replace easily your inventory preprinted labels with on-demand. The ZPL feature along with the lowered cost ink offered by the TM-C7500 could change a large part of the label printing market; and offer you a much easier solution for printing labels with color. If you are interested in a high resolution, durable/low maintenance and ZPL enabled printer for your operation solution; or just interested in the price of the new C7500, contact us. We’ll help you move to this new evolution of technology. Pylam (http://www.pylamdyes.com/) is an industry leading supplier of dyes, pigments and colorants to the global marketplace. Their colorants are used in an extensive array of products that range from cosmetics, soaps, candles, plastics, and even industrial applications. Pylam focuses on providing the highest grade products with an unsurpassed level of support and flexibility; offering a wide range of package sizes of all colorants. Their products include not only commodity items, but also custom-made blends designed to satisfy exacting specifications. Like other companies in the chemical market, Pylam needed to comply with the new GHS requirements. However, Pylam wanted to change their labeling process as well. According to Aaron Reynolds, Vice President, “we had been using an HP Color Laser printing plain paper and covering with tape on the package. As a part of the new GHS requirements, we decided to switch to “drum size” durable labels with adhesive to improve the look of our products being shipped. We wanted our labels to look robust and durable” says Aaron. During our first conversation, I learned Aaron was interested in purchasing a GP-C831 printer. You can read about this printer in one of first posts: http://colorlabelsondemand.blogspot.com/2012/10/gp-c831.html. In addition, Aaron wanted to know the estimated ink cost for his labels. To give him an estimated ink cost, I asked Aaron to send me a label (he sent the label pictured above). To produce this label on the GP-C831 using an 8” x 11” label, the estimated cost for ink was $0.022 each. At $0.022 each, the ink cost is very low for this label; especially compared to laser or thermal transfer options. If you want to see the cost comparisons, read my earlier post here: http://colorlabelsondemand.blogspot.com/2013/12/trust-me.html. 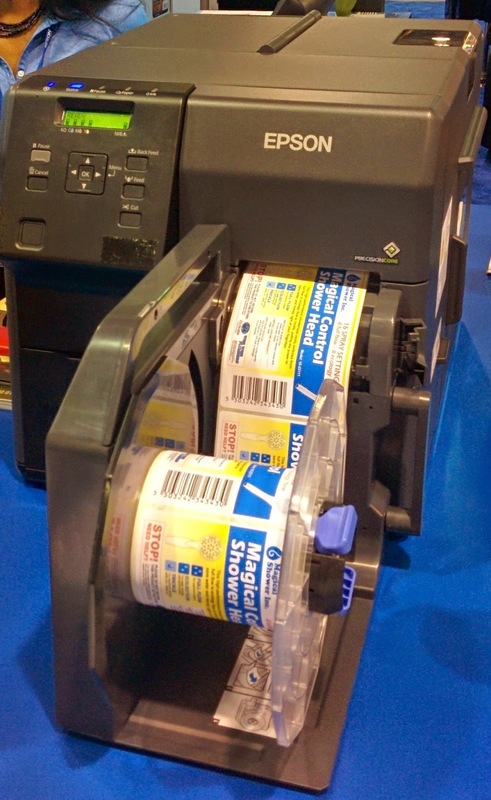 You can purchase ink for the GP-C831 printer here: http://stores.colorlabelsolutions.com/8-5-x-11-pin-fed-poly-label/. Like many companies, Pylam has a lot of work to do to meet the GHS requirements. “With thousands of products, we have only scratched the surface on completing our SDS’s and GHS labels; especially since we add new items all the time,” says Aaron. Although printing labels for a short time, Pylam is happy with their new GP-C831. Durable, low cost and attractive labels printed exactly when needed is exactly what Pylam has achieved with this solution. 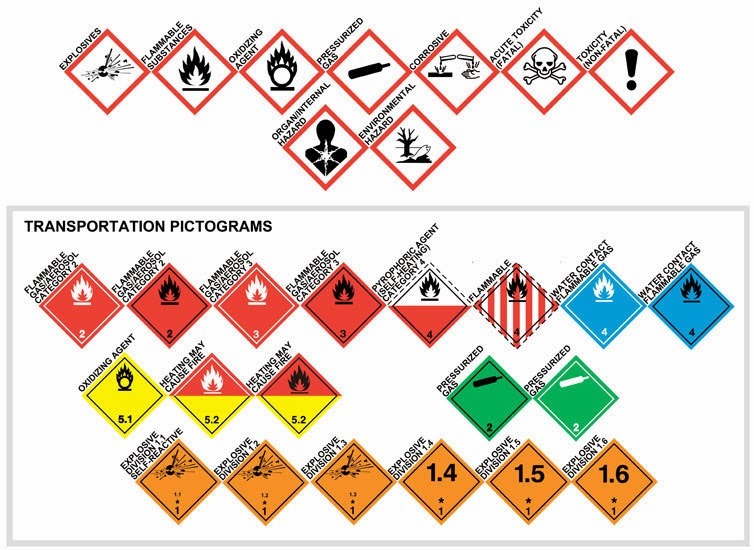 If you need to meet the GHS requirements like Pylam, Contact us; we’ll make sure you get started printing beautiful and durable color labels as well.